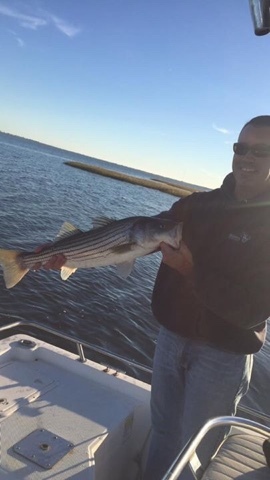 Tom P put the smack down on a bunch of shortie stripers this morning getting 8 to the boat with numerous tail slaps and near misses. 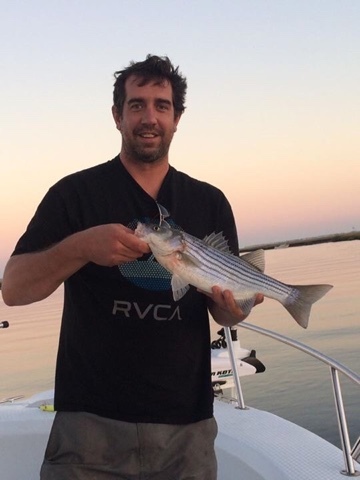 He said the fish were very acrobatic this morning with many of them jumping out of the water multiple times. 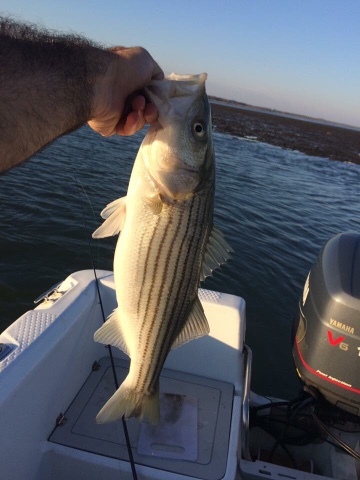 Check out our huge selection of striper trolling gear. 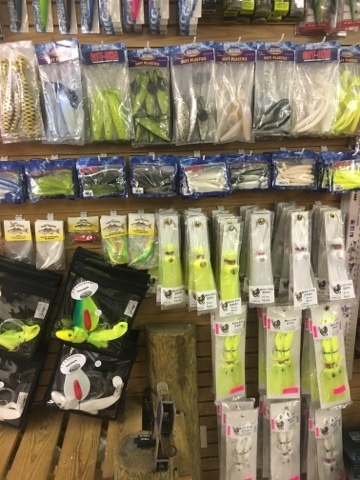 We have all the latest products from companies such as S&S bucktails, blue water candy, Tony Maja and 9er's. 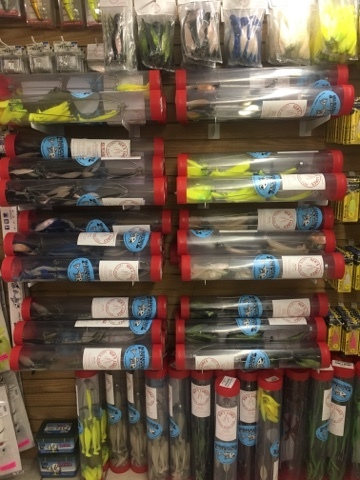 Along with all the replacement shads, trolling sinkers, replacement hooks and everything else to properly rig you lures. It's Go Go Go time for Big crabs 🦀. A costumer just stopped in to show what he got in no time this morning. He said they where so big and so many he only kept the biggest males and no females. 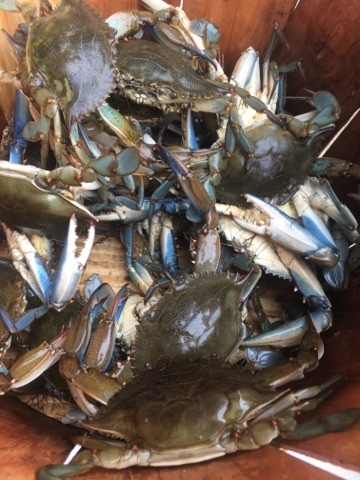 Picking crabs and watching the eagles life doesn't get much better. 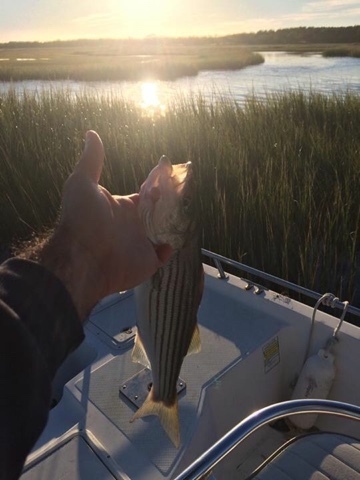 Tuns of small stripers coming from the back bay. 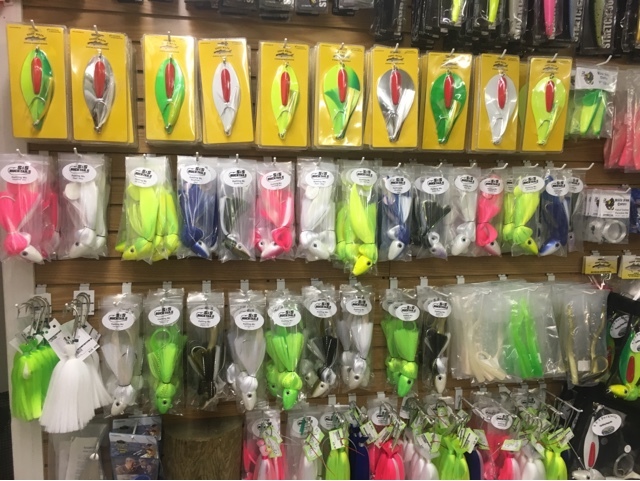 Soft plastics, small swimming plugs and top water poppers are the key. 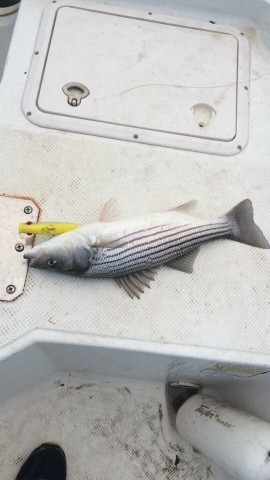 So get out there and get in on this great little tackle action. 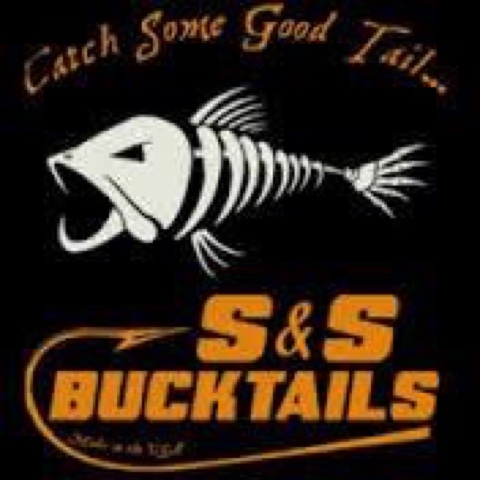 We are happy to announce that S&S Bucktails is back on as a sponsor of the 2016 South Jersey Striper Slam. Stanly at S&S has been a big help to the growth of this tormentor over the years and has donated some amazing prizes.